Lei Wang is qualified as a Chinese lawyer and has an LLM in Innovation, Technology and the Law, and an MPhil in Intellectual Property Law, both from Edinburgh University. She works on Origin’s Chinese IP Strategy Project. And on other China matters. 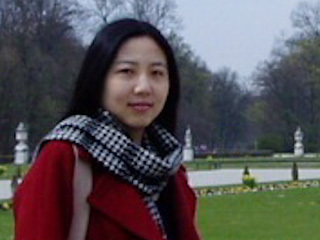 Lei has experience in advising Chinese enterprises with overseas IP strategy when she worked as IP consultant for Sino-Canada Scientific & Technologic Park, and she is a former project manager of China Chamber of Commerce for Import & Export of Machinery & Electronic Products (CCCME), Beijing, China. Lei speaks English and Chinese.